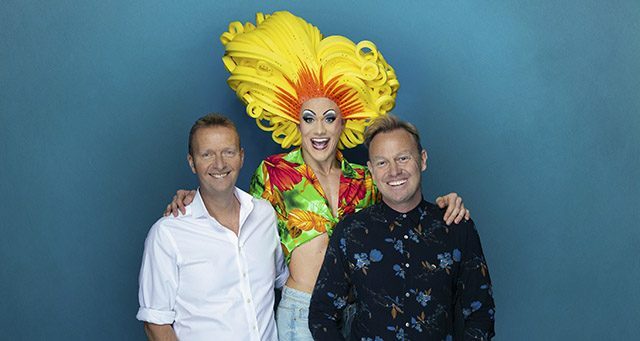 Mark Goucher and first-time producer Jason Donovan have announced that their brand-new production of the much-loved glittering hit musical Priscilla, Queen of the Desert will extend its UK tour dates through to 2020. The musical will star Strictly Come Dancing winner Joe McFadden and will tour the UK and Ireland from September 2019. The iconic hit show promises to have more glitter than ever before, featuring a dazzling array of stunning costumes, fabulous feathers and a non-stop parade of dance-floor classics including It’s Raining Men, I Will Survive, I Love The Nightlife, Finally and many more. Priscilla marks Jason Donovan’s first experience as producer. Credit: Darren Bell. Based on the Oscar-winning film, the Pricilla tells the hilarious adventure of three friends who hop aboard a battered old bus bound for Alice Springs to put on the show of a lifetime. Their epic journey is a heart-warming story of self-discovery, sassiness and acceptance.